Over the weekend, I read the first article about the opioid crisis that made any sense to me. It was published in Scientific American last week and explained why so many of the strategies that we are using to combat the rising rates of opioid overdose have been ineffective in curbing the rate of overdose to any great degree. The article summarizes the research that suggests that the best ways to address the abuse and dependence on opioids is to help communities strengthen the social ties between people. The author opines that the emotional reasons that we become dependent on any substance are factors that communities should seek to address in to reduce the morbidity and mortality related to opioids. In one study published in the Journal of Health Economics, researchers looked at the impact of macroeconomic changes on opioid use in specific counties and states in the United States. For the region studied, researchers found that, when the county unemployment rate rose 1%, the opioid death rate per 100,000 rose by 3.6% and the opioid overdose Emergency Department visit rate rose by 7%. These statistics held throughout the state. The article summarizes the science related to the body’s naturally occurring opioids – endorphins and enkephalins – these help us to moderate both physical and emotional pain. The science is outlined concisely and briefly and reminds the reader of those factors which increase the levels of these naturally occurring opioids. It also reminds us how this hormonal system insulates us from emotional pain in our lives. I have never prescribed opioid medication myself, and most of the doctors I know are similar in practice to me so I have been bewildered about who all the doctors prescribing them could possibly be. I’ve seen the numbers, however, and I certainly know of physicians who have gotten into difficulties because of the way they prescribe opioids. I understand that physician regulatory bodies have sought to address the increasing rate of opioid abuse and overdose by offering courses on prescribing these medications. 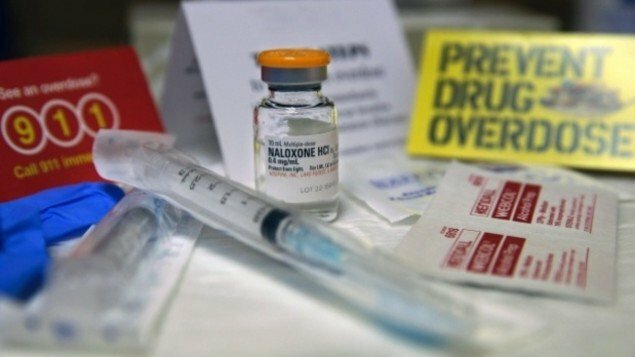 To address this dangerously increasing use of opioids, communities have been distributing naloxone kits, setting up safe injection sites and running health prevention campaigns. I support these measures as urgent action must be taken in the moment to do what we can to prevent harm to those already at risk because of opioid use. Having said this, it’s time to think about what can be done to address those social capital deficits. The OECD defines social capital as “networks together with shared norms, values and understandings that facilitate co-operation within or among groups”. These networks include such networks as family, friends, groups we belong to, or organizations that support us. According to the research, the loss of social capital is linked to increasing opioid use and all its attendant risks. I’ve been thinking of social capital lately as I’ve worked to find supports in their communities for youth in my practice, supports such as groups where families might learn to cook or spend time with other families. As I did this research, I realized that some Ottawa communities are better at this work than others. It makes sense from this that communities might consider supporting community development as well as safe injection sites and naloxone kits. Many reading this will believe that this is all about the social determinants of health but this is a reflection on the need for all of us to consider how we personally build communities. Do we go to groups? Do we initiate support activities? Do we go to community events? All things considered, cities can support communities but they can’t provide them the way they can buy naloxone kits or new services. They can’t make your neighbours neighbourly. That takes individual people getting out of their chairs, turning off the TV or their devices, and talking to people or working with people. While it does build a community to have skype meetings or online chats, this research is telling us that, if we truly want to have communities, then we must have some that we can walk to when we’re caught in a snowstorm or hurricane, or the power goes out. Perhaps if we volunteered at the food bank, it wouldn’t be so hard to go there for food, or even just company, when the need arose. Having community meals or parties or street events, bringing disparate parts of communities together, can help you find out what services you can have or help in your neighbourhood. Last weekend, the Wellington West Community held an event on Wellington Street. As I walked along running my errands, I stopped off at a few services. I learned that one agency, Ottawa West Community Support, has a range of services to help seniors continue to live in their own homes. They told me that volunteering with them has helped many older people make the transition to using their services. That is social capital. I learned that the library helps anyone learn how to navigate the internet safely, from kids to seniors to newcomers. The library has an English Conversation Group. These are examples of building social capital. This research and consideration has me thinking about how I could invest in social capital in my hospital practice and so I have been thinking about the kinds of groups that could most help youth in my community. I have a few ideas but would be interested in others’ ideas also. Please tell me. It seems a long way from the opioid crisis to me, but the research suggests that I am wrong. How do you build social capital? How do you think we could help?